Perth’s compact city centre means most places can be accessed and explored on foot and bike hire is also a popular option. 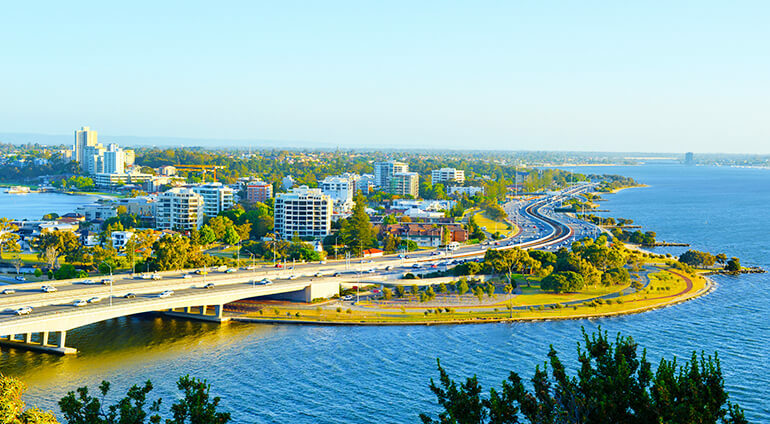 The city council runs free buses services around the CBD, as well as operating train, bus and ferry services for the Perth metropolitan area and to Fremantle, but as these services are predominantly used by commuters, it’s best to avoid at busy peak times. Taxis can be hard to find, especially away from the more central areas and can prove to be expensive. It’s best to get the number of a taxi firm and call in advance to arrange rather than trying to hail a cab in the street.